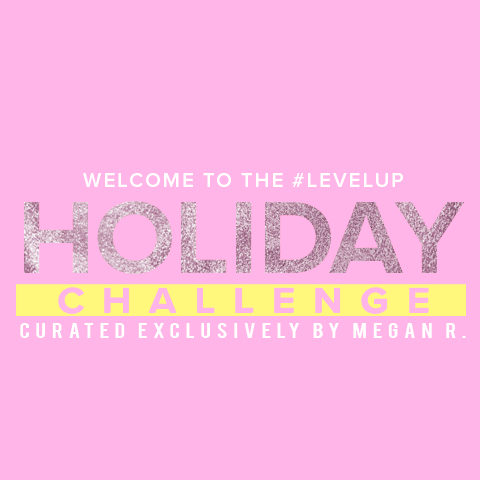 Join me for the 4-Week #LevelUp Holiday Challenge with obé! I've handpicked top wellness experts to help keep you on track, accountable and balanced over the four weeks leading up to the holiday mayhem. Sign up by 12pm EST on Saturday, November 24! I know that nailing the perfect workout snack can be tricky. There’s a lot of information out there about fitness and nutrition, and it can get confusing. Some people say you should have fat (hello, keto fans! ), or just a protein shake, or a banana on the way to class. It’s not that any of these tips are wrong, it’s just that everyone is different, with different goals and preferences so no one thing will work for every person. In general, eating a full meal or a snack higher in fat or fiber before a workout like Megan’s dance cardio and sculpting class is not ideal since those foods are harder to digest. With all of the jumping involved in class, the last thing you want is a stomach ache or discomfort. Your best bet is to reach for something that’s easy for you to digest, but will also give you some energy. So for some people, that could look like greek yogurt and some berries, for others (like people sensitive to dairy) that would be maybe half of a vegan protein bar or some almond yogurt. I always say, it’s important to listen to your body to find what works. And sometimes that takes trial and error, (which is totally fine!). If you are working out later in the morning or day, it’s a good idea to wait at least 2-3 hours to workout after eating a meal (ideally balanced and one that includes protein + healthy carbs). If you’re doing a super early workout and don’t feel like eating much but want a boost, have a coffee or almond milk latte with some cinnamon (to keep your blood sugar stable) or add a scoop of marine or bovine collagen peptides for a protein boost. You can also add a little bit of MCT oil or powder for energy (but no more than 1 tsp if you’re about to workout). If you have any type of blood sugar or hormonal issues, I would not recommend plain coffee on an empty stomach before you workout. Adding some almond milk or cream, and some collagen or fat will keep your blood sugar steady and you’ll also have steadier energy from the caffeine. Coffee or matcha blended with cinnamon, almond milk/coconut creamer, 1 tsp of coconut butter, 1 scoop of collagen (Vital Proteins coffee creamer is one of my faves. They even make travel packs you can carry in your bag). If you’re working out in the afternoon and would rather snack on something more portable like a protein bar, that’s a great option too. Half of a plant-based protein or collagen bar (my favorites are 22 days Nutrition protein bars, Bulletproof Bars, Primal Kitchen Protein Bars) should keep you feeling full and give you energy to power through class. Be careful with bars—many of them (including Lara Bars and RX bars) contain a lot of sugar and carbs (our bodies don’t know the difference in natural sugars vs. processed). Having a higher sugar snack before a workout is one way to have a quick energy boost, but you are also destabilizing your blood sugar (which is never a great idea) and if your goal is to burn fat during a workout, then you’ll simply be burning off the sugar and not tapping into fat stores. When looking at bars aim for 8 grams of sugar or less, and less than 20 grams of net carbs (carbs minus fiber). What other nutrition related questions do you have? Let us know in the comments! Ask Megan: What should I do if I'm worried about getting shin splints or other injuries from jumping during dance cardio class? If you're a regular at my class or maybe you run or do a lot of high-impact HIIT workouts, one issue you want to always try and prevent is shin splints. Most people associate this issue with running, but shin splints can happen from doing other types of workouts like dancing or jumping if you're not wearing the right type of shoes or warming up or cooling down correctly. It's so important to wear the right shoes that are supportive and help cushion impact (here is my favorite pair). One common form mistake I see all the time in class is that clients aren't landing with their heels down when they jump and instead land on the toes or the ball of the foot. This creates more impact on the shins and knees, which you want to prevent. It may seem a little weird at first if you've been doing it this way for a while, but once you do a few classes with keeping this form tip in mind, it'll come naturally to you soon. And you'll notice the difference when your form is better in class because you'll be working and engaging the right muscles which means better results and less chance of injury. Something else you can do to prevent shin splints it to make sure you stretch your calves before and after class. It's always a good idea to invest a little extra time in recovery practices like foam rolling when you can. Have more questions about class or fitness tips? Contact me here or on Instagram!